The Great Griffon Awards recognize alumni from each college and school who exhibit outstanding contributions to the workforce, society or the University. Nominees must have completed at least 24 credit hours at any Missouri Western institution and do not have to work in the area in which they studied. Nominees can be recognized for career achievement, service to local communities, state or nations or the University. At least one year is required between attendance and award nomination. In rare circumstances, this award may be presented posthumously at the discretion of the Alumni Association Board of Directors. To submit a nomination, please email Colleen Kowich. 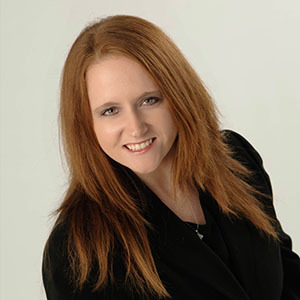 Kristi, from Ewing, Missouri, graduated with an English degree and a business minor. Prior to joining the Chamber staff, she worked eight years at the St. Joseph News-Press, where she was an award-winning reporter and assistant city editor. Kristi is involved in several community organizations, including East Side Rotary, St. Joseph Women’s Press Club and LeBlond High School Board of Directors. 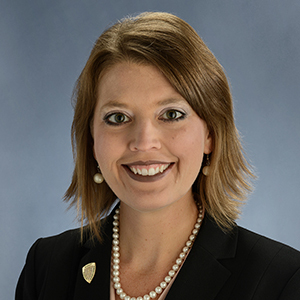 She earned an MBA from Northwest Missouri State University in 2014. Kristi and her husband, Paul Rasmussen, have a daughter, Katarina. Rachel was promoted to Chief Nursing Officer of Kansas City Operations for the University of Kansas Health System this past July. She had previously been serving as the Senior Director of Nursing for the University of Kansas Hospital. “There is nothing like being surrounded by compassionate, intelligent, competent, world class professionals who have dedicated their lives to serving others. Being the leader of this group of nursing professionals is a privilege like no other,” she said. Rachel, a native of DeKalb, Missouri, earned a Bachelor of Science in Nursing from Missouri Western, and a Master of Science in Nursing-Organizational Leadership and a Doctor of Nursing Practice-Organizational Leadership from the University of Kansas. Rachel’s fiancé is Jason Loar. Jaime is a Transportation Operation Specialist, Loss Prevention Team for the General Services Administration in Kansas City, Missouri. She has worked for GSA since 2009, and in her current position, she monitors for fraud, waste and abuse of government vehicles. 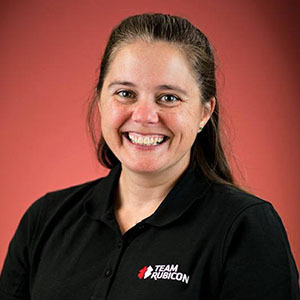 She is also a volunteer Membership/Mobilization Manager for Team Rubicon, a veteran- and first responder-based disaster response organization. She has been volunteering for them since 2014 and has been on 10 deployments with them, including the only volcano operation that the team has ever had. Jaime also teaches training classes for team members. As a student, she was involved in several organizations, including being one of the founding members of the Alpha Gamma Delta Fraternity. Jaime graduated with a Bachelor of Science in Business Administration and earned an MBA from Webster University in 2004. If you look south of Missouri Western’s physical plant on the west side of I-29, you can see one of the legacies of Patrick’s time as a student. 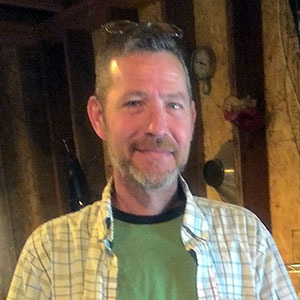 The Weston, Missouri native graduated with a Bachelor of Fine Arts in Studio Art, and while he was here, he and David Harris, associate professor of art, built a wood-fired kiln. Larsen also rebuilt the department’s salt kiln when he was a student. And if you haven’t figured it out yet, Patrick is all about ceramics. He had been a sculptor for 20 years when he decided to “put a degree behind it.” After he graduated, he opened the Mad Potter Studio, a working studio, in Weston. As a student, Patrick set up a pottery wheel at the MWSU Foundation’s Donor Appreciation Reception for three years, visiting with those in attendance and displaying his craft.